Yes Primark have a new range in their makeup section called Ps... Pro! One of their new products is the oval blending brushes alot like the famous (and expensive) brand Artis. 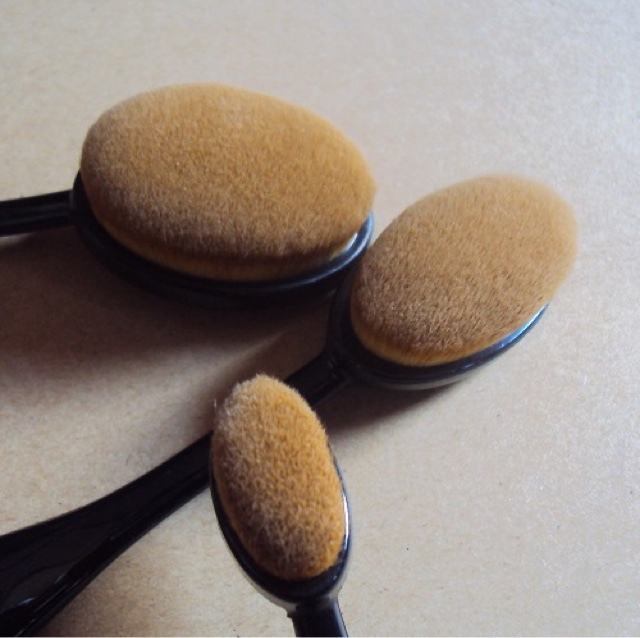 The new range consists of three different shaped brushes although they don't actually have the size on the packet. These brushes are amazing quality for the prices and they blend product in really well too. They are quite dense and cleaning them is super easy which is great for people that see cleaning brushes as a chore 🙋🏼. I would rate these a ⭐️⭐️⭐️⭐️⭐️ out of five because they are so great and are easy to carry around too!